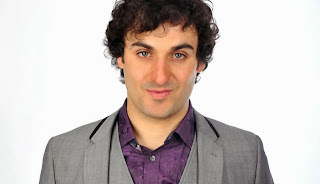 Okay so it's Patrick Monahan but shut your eyes when either speaks and you'd be hard pressed to know the difference until Patrick starts talking about football.........he knows his stuff, unlike.......... ! I have to say that most big cities and towns in the UK have at least two major football teams and it's like chalk and cheese in just about every case for me. I like Sunderland, can't stand Newcastle, I've some affection for Everton and none for Liverpool......and so on. Now I realise that Baggies fans would add their club into the mix and so we could go to three clubs in Birmingham. I really like Villa for a number of reasons, hold no issues with West Brom but dislike Birmingham. This is down to how their fans are and historically they've had some issues with us. Yes, us ! Mind you I get the impression that like Millwall that extends to pretty much every club. The club went further down in my estimation when it decided to employ Marlon King. Sod's law says we'll lose to them even though they are below us in the league ( albeit on goal difference ) and played a league cup game complete with extra time and penalties on Tuesday. The match saw Wade Elliott sent off at the end of the first half meaning City had to play 75 minutes with 10 men. The Blues have taken 1 point form their last three games and that came last Saturday from a creditable draw away to Derby. The club has just given a two month deal to Polish midfielder Dariusz Dudka and I guess he'll expect to feature somewhere on Saturday. Sir Chris may need to have a new face or two himself if, as seems likely, Yann and Wood don't make it. A real shame for both, Yann because he's just come back and Wood because he was playing so well and had just established himself as part of the team. If Dale Stephens still harbours a move to Villa then he can give his cause a real shot in the arm with a good display at Brum. If the team shows the same resolve and drive that it has in the last few games then they could expect to come away with something. Good luck and well done to all those going on Saturday, I hope that you have a great day out and are rewarded with a decent display from the Addicks and perhaps a point or three.